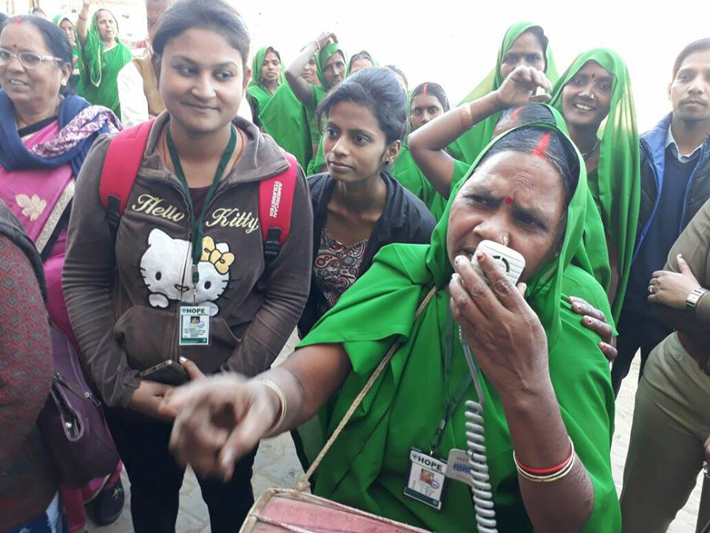 The full-throated singing by the group of four dozen women – better known as Green Gang due to the colour of their saree - is an initiative to ensure that people turn up to vote. The women are concentrating their efforts in eastern Uttar Pradesh, parts of which will vote in the last phase of polling on March 8. The earthiness of the singing by the group led by a spunky Nirmala Devi, 45, has become a huge draw. The group along with election commission officials congregates at a village. The dholak beats sets the tempo for the singing. Women come out of their homes to listen to them – and it is then that the group exhorts them to vote. Nirmala confidently sings self-written birha and sohar genre Bhojpuri songs. 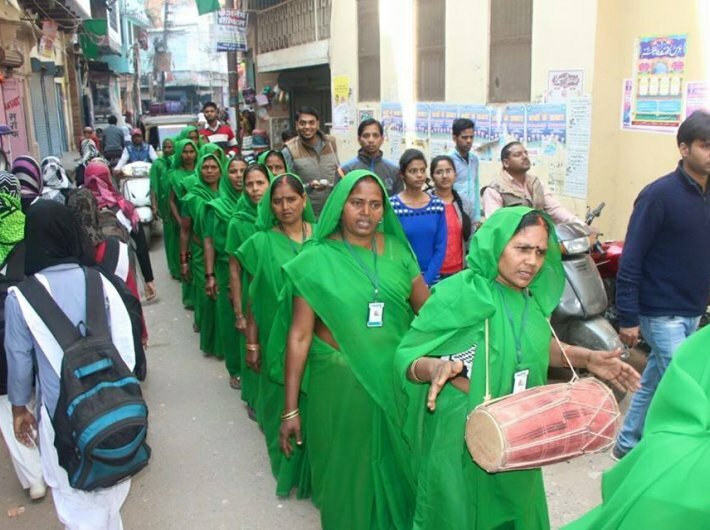 The rest of the women wearing green sarees follow her and sing aloud, visiting narrow lanes in Varanasi and adjoining districts. Nirmala is not contesting elections. She is the lead volunteer of the voters awareness campaign backed by Election Commission. With the lyrics which include words like, “election commission”, “police”, “voters identity card”, “voters slip”, this group of women who are from Khushiyari and Deaura villages tries to encourage women voters to come out and vote in large numbers. 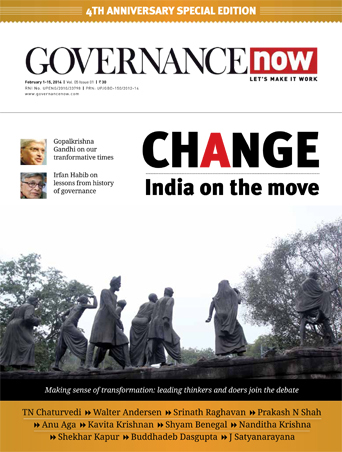 “We are targeting Vidhan Sabha constituencies where voting turnout of women is less than 35 percent. We will cover almost all villages asking voters not to get lured by money, alcohol etc. and avoid any kind of pressure. 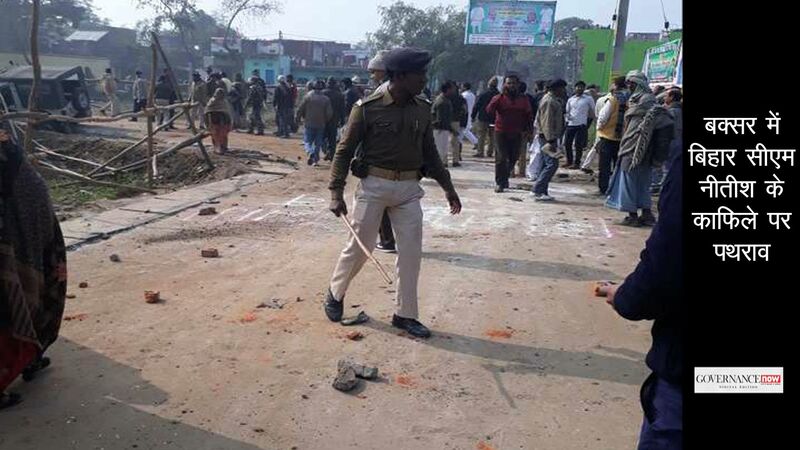 Instead, we are asking them to vote judiciously,” says Nirmala Devi. Their awareness campaign is backed by Election Commission’s Systematic Voters Education and Electoral Participation (SVEEP). Nirmala and her group have the answers to all local FAQs a voter can have for the assembly polls. Not long ago, the members of Green Gang were illiterate. The women in both the villages were groomed by university and college students and they were initially trained on how to read and write and do basic calculations. They also worked with district police in Varanasi to put a check on gambling and domestic violence. Later, they shifted their focus on building of toilets as there are no toilets in their village. Though the villages come in PM’s constituency, no toilets were provided to them. However, nothing has deterred the enthusiasm of these women. “We need a better life for our kids. It is necessary for us to come out and educate and aware women,” says Asha, a Green Gang member.